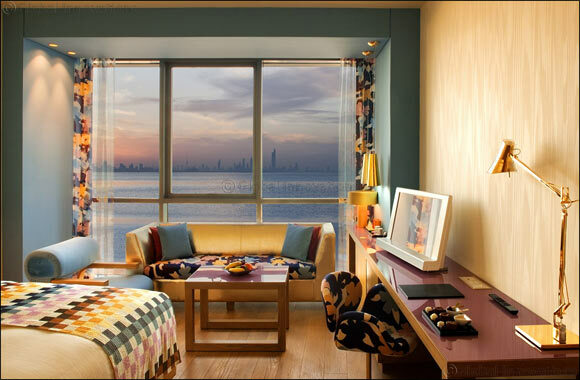 Dubai, UAE, August 14, 2017: Take a well-earned family vacation at the magnificent Symphony Style Hotel Kuwait that offers stunning views of the bay and the Arabian Gulf. Starting from KWD65 per night, guests can check in to one of the 175 contemporary rooms and suites this month and relax in the colourful surroundings, safe in hands of attentive hotel staff who will make sure you experience, traditional and authentic hospitality starting at KWD 65 per night/ room. From the comfortable base, guests can explore the leisure and entertainment facilities, including state-of-the-art fitness center in Six Senses Spa, or relax around the stunning outdoor pool on the hotel nestled on the second floor with its breathtaking views over the skyline of Kuwait City. Wondering how the kids will fill their time? Fear not, Symphony Kids’ Club provides ultimate fun for kids’ ages between 1-10 years old and the newly opened ‘Teens Hub’ will keep young guests entertained with Wii, Play Station and Magic Motion Interactive Game for hours. Relaxing can be hungry work and summer days can be long, so this month, diners can still enjoy 50% discount in selected dining outlets. The sublime Tuscany restaurant Luna is offering 50% discount every Sunday along with live violin and singing entertainment Meanwhile, visitors to the stylish coffee shop Chococafe can enjoy half price all day on Mondays, while the Tuesday’s are Cucina days, with the restaurant offering discount for both lunch and dinner buffets.